10 Must-Do's at the Arnold Sports Festival in Columbus - Ohio. Find It Here. As the largest multi-sport event in the world, the Arnold Sports Festival welcomes 200,000 sport fans to Columbus. The multi-day event is co-promoted by the legendary film star and body builder, Arnold Schwarzenegger. Featuring more than 22,000 athletes from 60 nations competing in 80 sports and events including 16 Olympic events, competitions and events are held throughout Columbus, February 28-March 3. Here are 10 things not to miss at the 2019 Arnold Sports Festival. The Arnold Fitness EXPO will feature more than 1,000 booths of apparel, nutrition, sports equipment and entertainment. The Fitness EXPO is the largest health and fitness exposition in the country. The expo runs March 1-3 at the Greater Columbus Convention Center, admission is included with the Daily EXPO Ticket. As the headlining events of the Arnold Sports Festival, the professional and amateur bodybuilding and fitness competitions can’t be missed. More than 700 athletes from around the world will compete in various championships including IFBB Pro League and Amateur Classic Men’s and Women’s Physique, Fitness, Figure and Pro Wheelchair. Cheer on these athletes at competitions throughout the weekend. Some competitions do have additional admission fees, click here for more information. The indoor Scottish Highland Games features thirty-five athletes competing in traditional Scottish sports. Both men and women are challenged through events such as sheaf toss, weight over bar, heavy weight for distance, open stone, caber toss and pole push. The Scottish Highland Games are held at the Greater Columbus Convention Center in Hall A on March 1-2, admission is included with the Daily EXPO Ticket. The ROGUE Record Breakers features professional strongman and strongwoman competitors in several events. 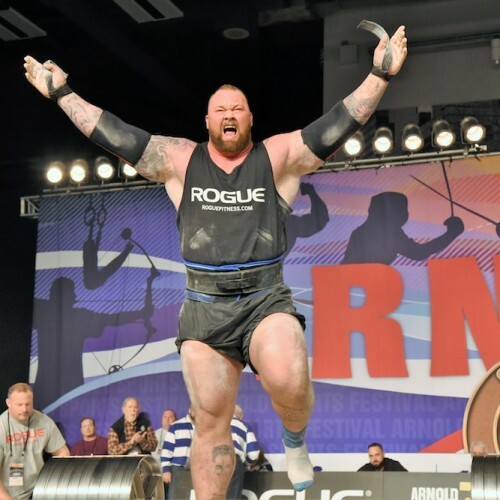 Featured events are the ROGUE Elephant Bar, Stone to Shoulder with Odd Haugen Tombstone, Dinnie Stone Hold, weight throw, inch dumbbell carry for distance and women’s stone over bar reps and overhead dumbbell lifts. Competitors who break world records will be submitted to the Guinness Book of Records. Catch the ROGUE Record Breakers competition takes on March 3 at the Greater Columbus Convention Center, admission is included with the Daily EXPO Ticket. This fun-filled, sports and fitness event is designed for families with children of all ages. Featuring more than 20 sports contests, games, hands-on demonstrations, bounce houses, bull riding, face painting and virtual reality video games – it’s fun for the whole family! The Arnold SportsWorld Kids & Teen EXPO will be held March 2-3 in the Bricker Building at the Ohio Expo Center. Admission is included with the Daily EXPO Ticket. The 2019 Arnold Classic WATL Axe Throwing Championships is a World Axe Throwing League sanctioned event. The axe throwing event will be held at Throw Nation in Dublin on Saturday March 2, admission is free for spectators. 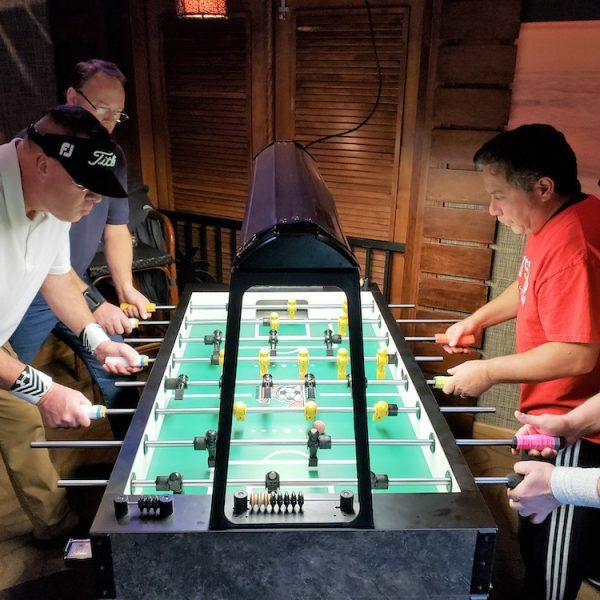 Featuring singles and doubles competition of all skill levels for this fast-paced fun game, the Arnold Foosball Championships is a new event in 2019. The foosball competitions will be held March 1-3 at the Greater Columbus Convention Center in the Eisenman & Trott Rooms, admission is included in the Daily EXPO Ticket. Jan Tana’s Bodypainting Revolution features a unique art exhibition and competition. Artists will compete by painting models in public view with a theme of Classic Arnold Cinema, which features designs inspired by Arnold Schwarzenegger’s classic movies. 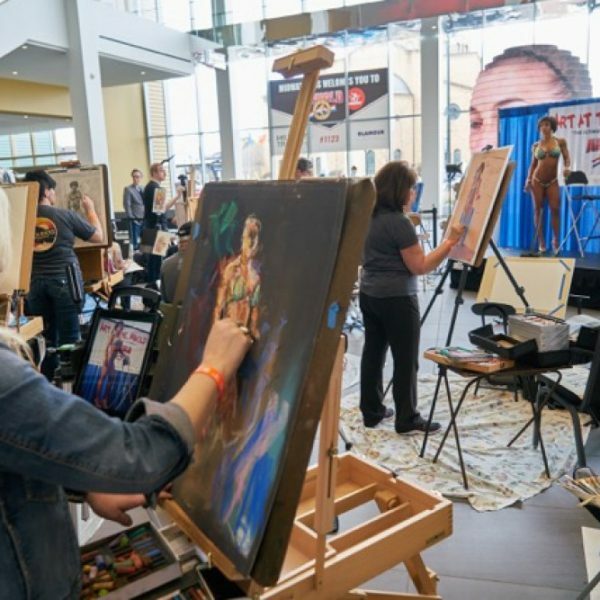 The body painting international competition takes place March 2 at the Greater Columbus Convention Center in the Arnold Fitness EXPO, admission is included with the Daily EXPO Ticket. Inspired by the athletes surrounding them, artists create artwork live at the Arnold Sports Festival. The three-day Art at the Arnold competition features artists using mixed media to design and create stunning art pieces capturing the moments of the sports festival. Art at the Arnold art show and quick draw contests are held at the Greater Columbus Convention Center North Atrium, admission is included with the Daily EXPO Ticket. The 2019 Arnold Battle of Columbus (ABOC) Martial Arts Festival features martial arts from around the world. Competitions include Taekwondo, Karate, Judo, Taichi, Weaponry and many more forms of marital arts. Seminars and workshops will be led by martial arts experts throughout the weekend. The Martial Arts Festival will be held at the Ohio Expo Center Lausche Building, admission is included with the Daily EXPO Ticket. 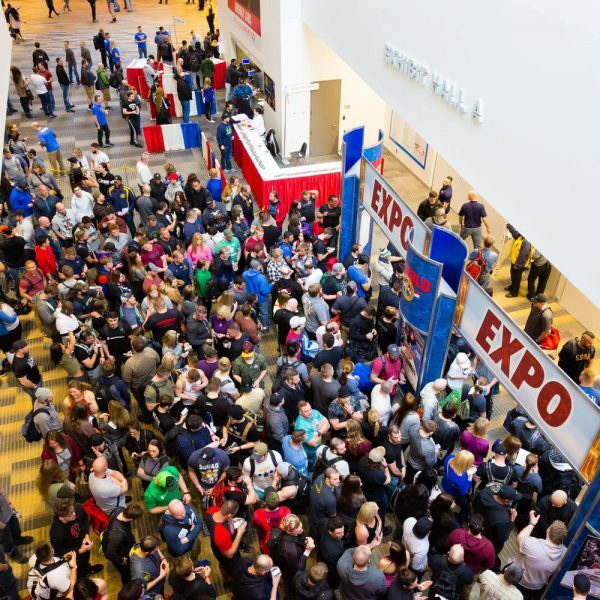 Don’t miss the 2019 Arnold Sports Festival, February 28-March 3! Learn more about the events, daily schedule and ticket information here. For more activity and excitement, Find It Here. at Ohio.org.